U.S. Rep. Jan Schakowsky (D-Ill.) discusses policy issues and voter disconnect at an event earlier this month. Schakowsky introduced a bill Tuesday that would require companies to provide more information about price increases for certain drugs. Drug manufacturers would be required to provide more information and advance warning of planned price increases under a bipartisan bill introduced Tuesday by U.S. Rep. Jan Schakowsky (D-Ill.) and two senators. Schakowsky introduced the legislation along with U.S. Sen. Tammy Baldwin (D-Wis.) and U.S. Sen. John McCain (R-Ariz.). The bill would require drug makers to notify the government and submit a report 30 days before they increase the price of certain drugs by more than 10 percent in one year, according to a news release. Drug makers would also have to report price increases of 25 percent over three years, the release said. The proposed legislation comes as major drug companies have raised prices for popular medications over the past few years. Mylan — the pharmaceutical company that distributes the allergy-treating EpiPen device — came under national scrutiny last year after the price of its EpiPen two-pack was found to have increased from about $100 to $608 over the past several years. In addition, a Credit Suisse report found that price increases accounted for 100 percent of the pharmaceutical industry’s $8.7 billion bump in earnings in 2016, which Schakowsky pointed to as evidence of the need to address soaring drug prices. Schakowsky, Baldwin and McCain introduced similar bills in the U.S. House and Senate last year, but the bills have not left session. The latest bill would require drug makers to report a justification for each price increase as well as report various development costs, according to the news release. The bill would not prohibit drug makers from increasing prices, but would bring more transparency to the prescription drug market, according to the release. The bill also requires the U.S. Department of Health and Human Services to post pricing information from the reports online within 30 days and to submit an annual report to Congress. Any drug manufacturer that fails to submit a report and follow the requirements of the bill would be fined $100,000 for each day the violation occurs, according to the legislation. “The American people should not be forced to choose between filling a prescription or making their monthly mortgage payment,” McCain said in the news release. Numerous organizations support the bill, including the AARP, according to the news release. More than 85 percent of Americans support requiring drug manufacturers to release information on how they set prices, according to an April poll conducted by the Kaiser Family Foundation. The same poll found 60 percent of Americans say lowering prescription drug costs should be a “top priority” for President Donald Trump and Congress. 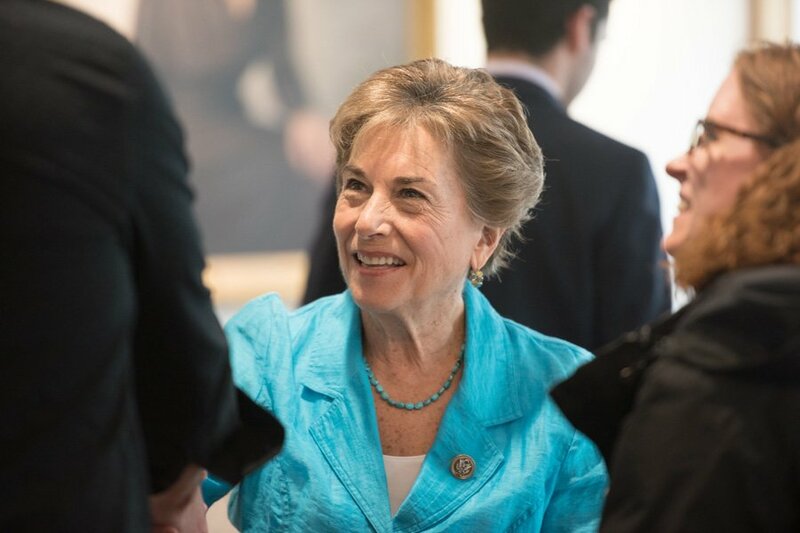 “When a quarter of families in our country are unable to fill out prescriptions for the drugs they need due to skyrocketing costs, it is time to hold manufacturers accountable,” Schakowsky said.